It’s amazing to me how good we are about documenting the details of our everyday life right now. After a long vacation, we were heading to the airport and the view out of the window of our rental car was wonderful! Rolling foothills, small farms with all sorts of animals – I just sat back and enjoyed the ride (maybe I was even driving), but not once did I think about picking up my camera to take pictures of the scene that would make a great final page for this vacation album. Thankfully, I’ve learned from this trip and now take lots of pics from the plane, the car, whatever we may be riding in because it really is an important part of the story for me. So this is a trip we took a number of years ago and I’ve been trying to figure out how to do this last page for years. Enter fun files from the Pretty Paper, Pretty Ribbons shop, awesome DT members that create amazing scenes from their cuts and I found (and created) my last page. I used the same color palette that I had used throughout the rest of the album, so while the colors of early summer in the foothills may have been more vibrant, this page will fit right in with the rest of the pages. 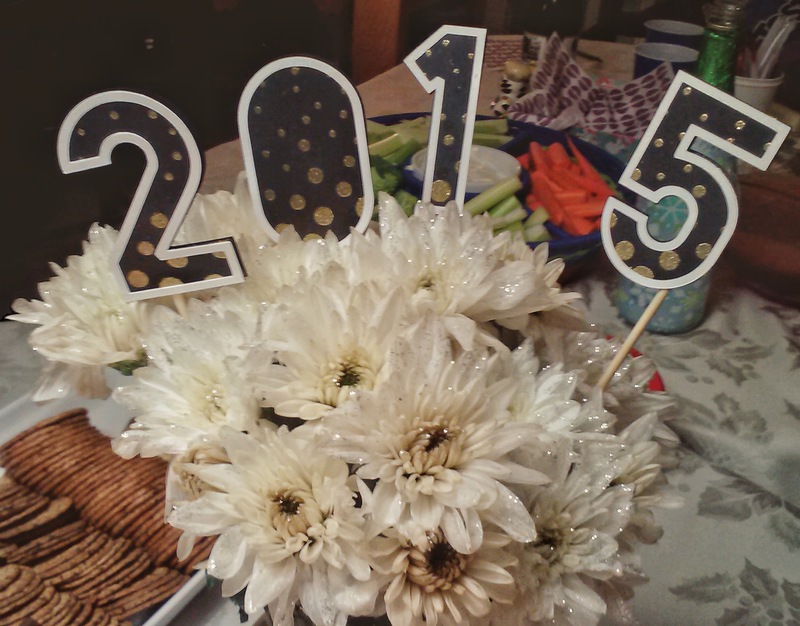 Super sweet and so fun to put together! The title (Oh, Snap! Title Cutting Files) was really the inspiration for the whole thing! I mean, how perfect is that? I used: Snowy Scene Cutting Files for the rolling hills, College Road Trip Cutting Files for the road, Farm Critters Cutting Files for the horse and chicken, Fall Festival Cutting Files for the bit of fence, and Flower Assortment Cutting Files for the tufts of grass. 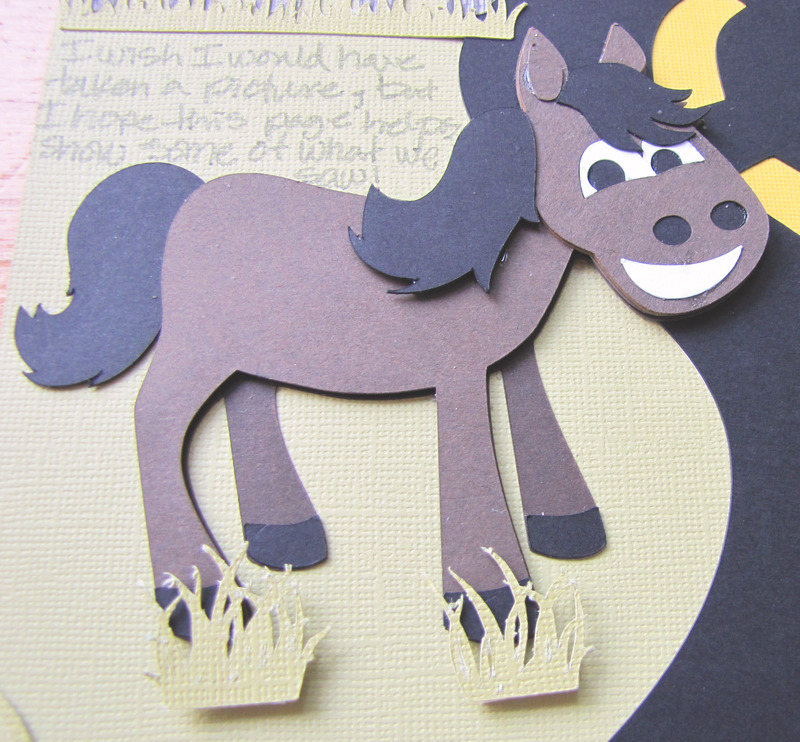 I love how easy it was to add dimension to this page with a little foam adhesive between the awesome layers of the horse! The chicken got a bit of a lift, too. I’m so pleased to have this page completed and with such a great scene to finish off my album! 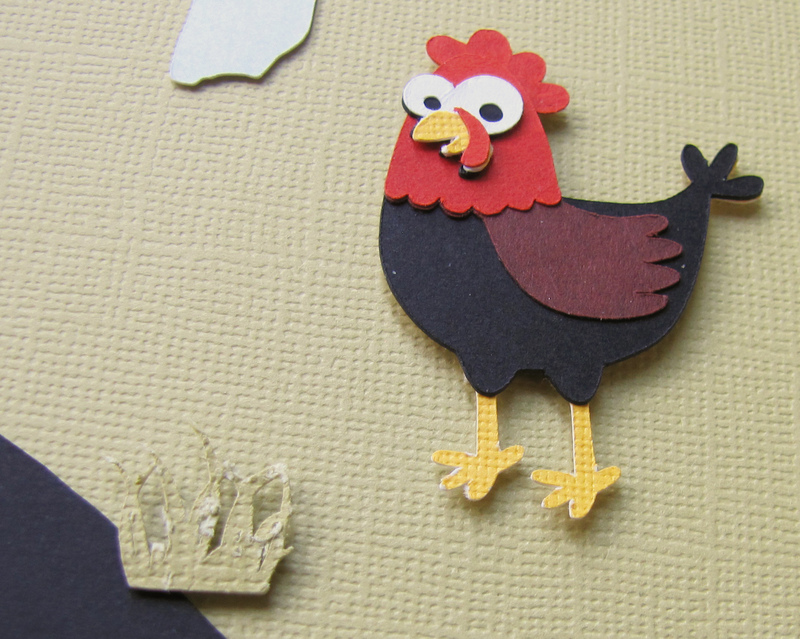 The next time you have a page without a picture, think about how you could use awesome die cuts to make a scene! 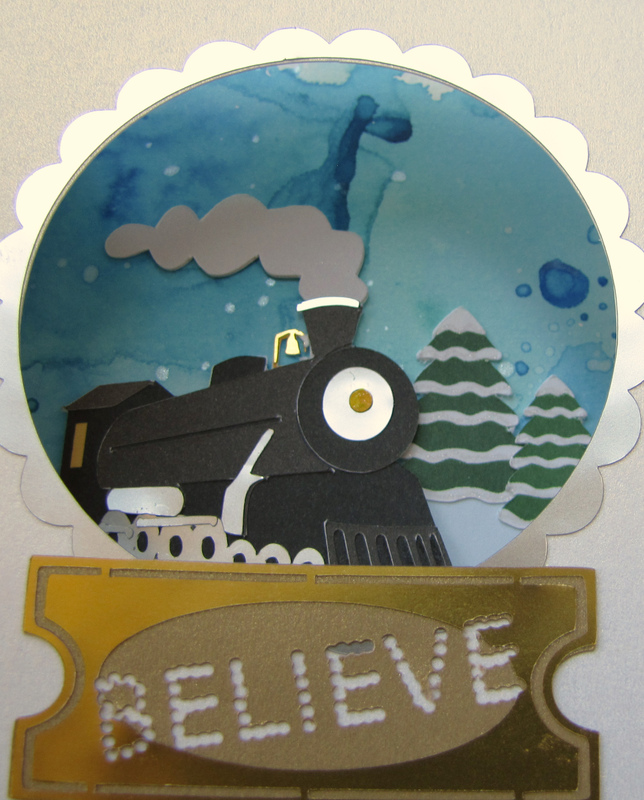 ETA: I’ll be entering Ch# 222: Anything Goes at Die Cuttin’ Diva’s Challenge blog! Thanks so much for the anything goes category because that’s definitely what this page is all about! Pretty Paper, Pretty Ribbons, Pretty Happy Father’s Day! Well, I hope it is a very happy Father’s Day, since I’m creating my post in advance. 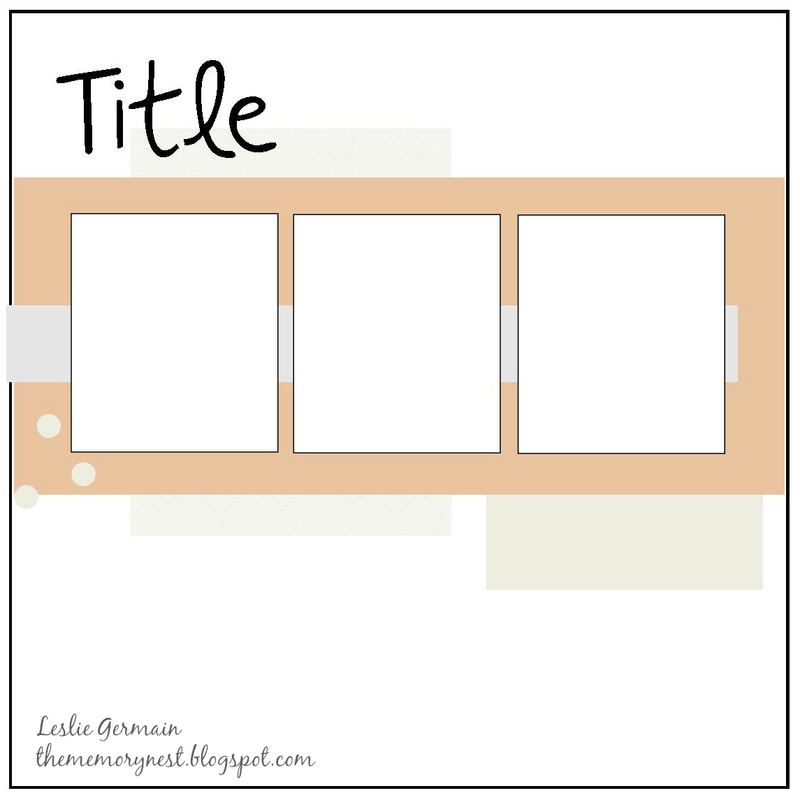 It’s my day to post a project on the Pretty Paper, Pretty Ribbons blog using files from the store. 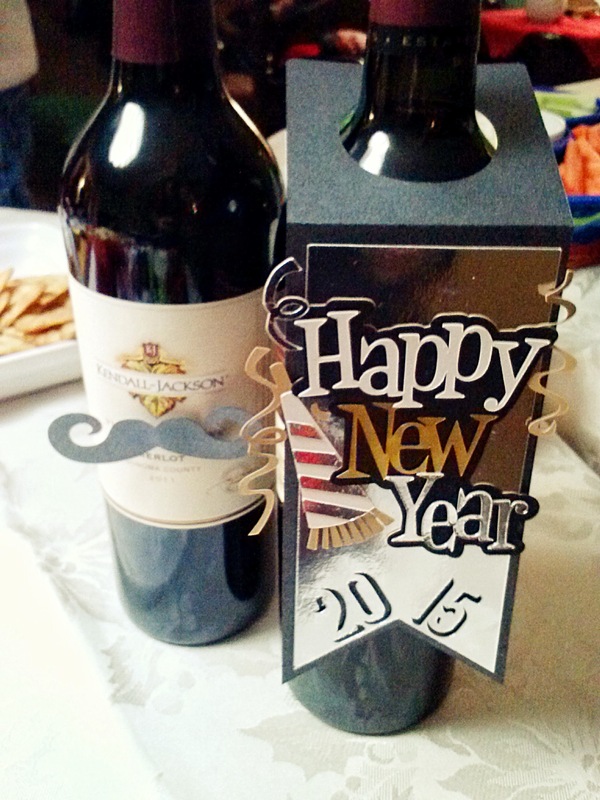 My project used some very fun cut files as well as some of the awesome digital papers! There’s nothing that I love better than to play with my Silhouette Cameo and my HP printer and awesome files that I can use with both! So I’m just going to say right now that I’m entering Simon Says Stamp’s Wednesday Challenge Simon Says Use Your Favorite Technique and/or Product! There! It’s out in the open! So, as I like to do, I’m sharing something a bit different from the expected Father’s Day project. 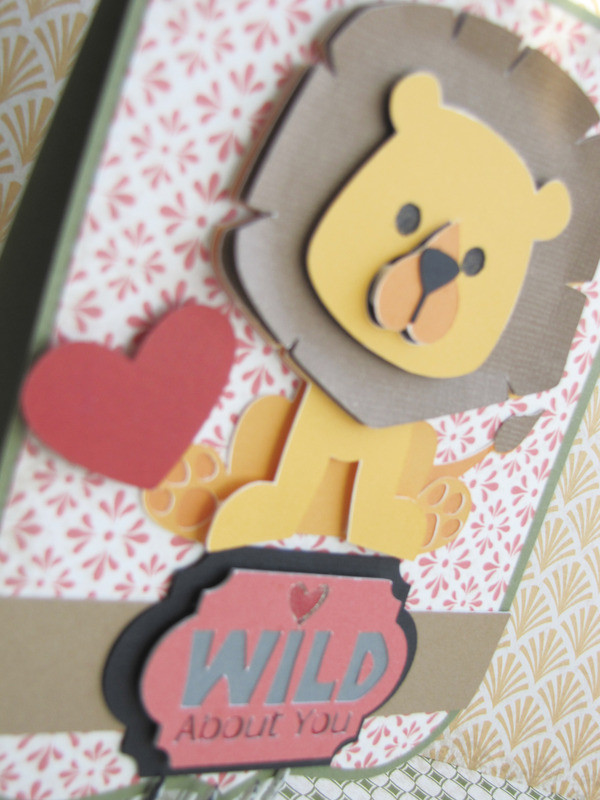 It doesn’t include a card or even a layout showing fatherly love. 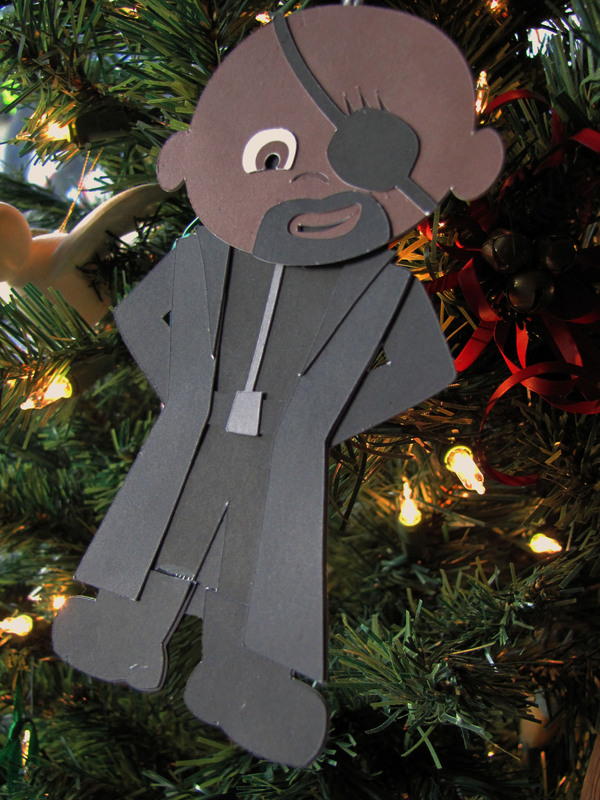 I created a page about the gift my kids and I made for their father this year, because it’s fun and allowed me to use Lisa’s awesome files! So, do you see what I mean about fun files? 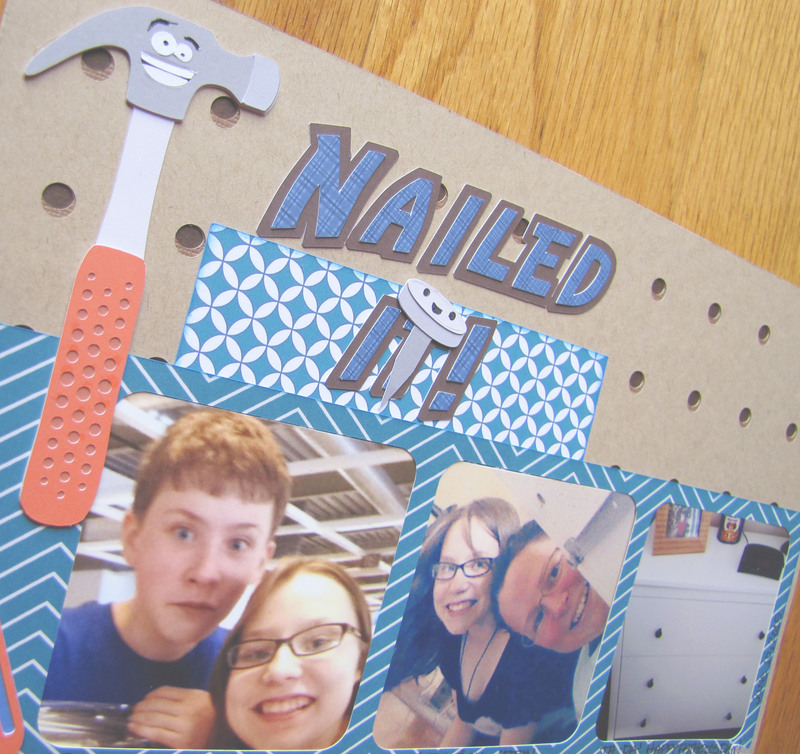 I couldn’t help but use these awesome tools for a page about the dresser we had so much fun shopping for and building for my hubby! 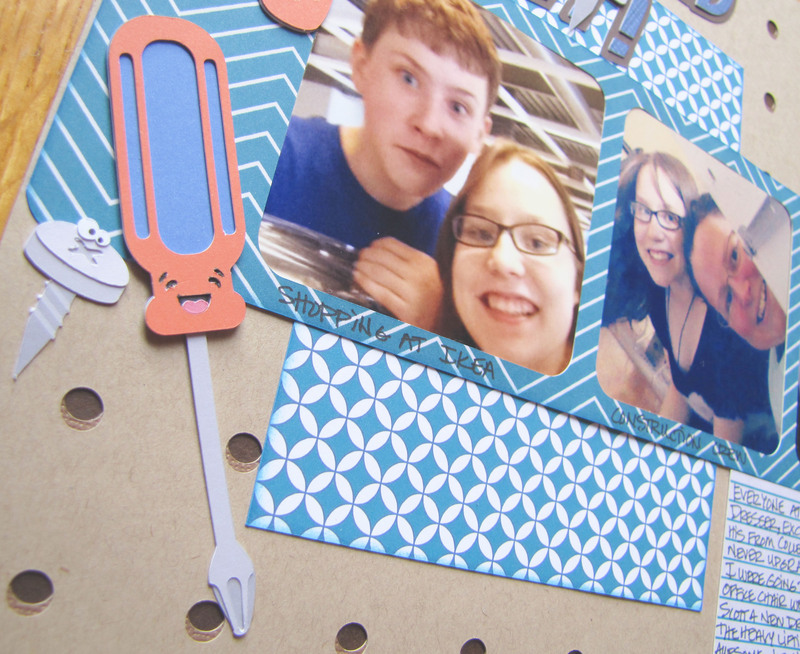 And the paper patterns and pegboard in the background, also from the store! 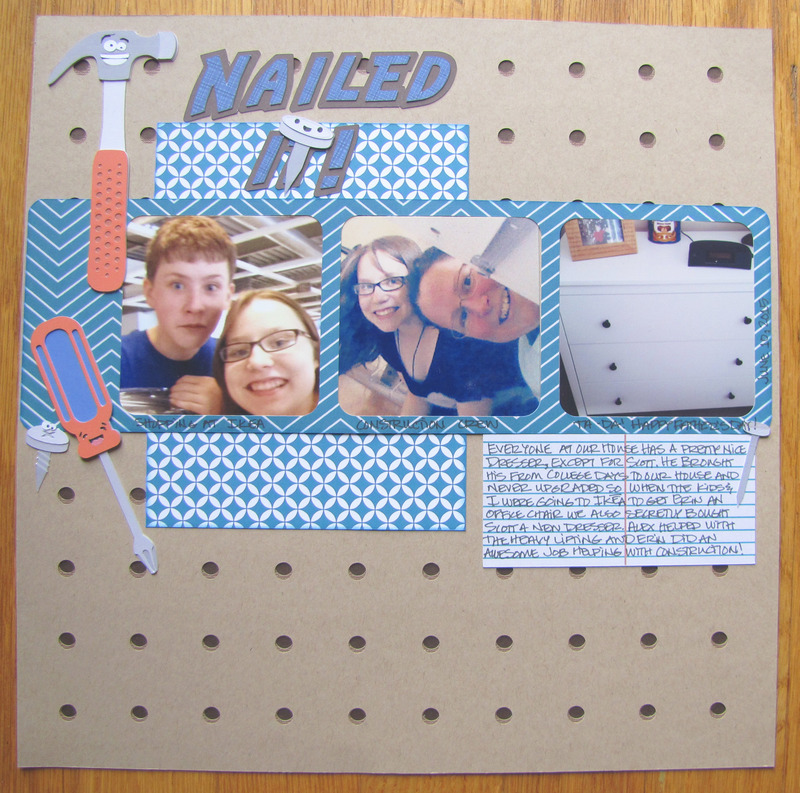 I used: the Pegboard Background Cutting Files, the Tool Time Cutting Files, the Photo Frames 3 Cutting Files, and Man, Oh Man Pattern Pack 1 and Man, Oh Man Add On Pack for the digital papers. Happy tools and parts just make me happy and went along so well with our smiling and sometimes silly faces! I love it and had a ton of fun putting it all together! My hubby takes care of so many different projects around the house and yet had a fairly icky dresser, so I measured the space that we had available and picked up a new one for him at IKEA. It was really great to have my son to help get the 79 pound package into and out of my van and help move the old dresser out and the new dresser in. My daughter was the best assistant of all time reading the directions and counting out the parts we’d need for the next step while I gave myself a blister using a screwdriver that was too small (I found one with a longer handle and things got soooo much easier – this is why my hubby usually does these things!) Anyway, it was a true family effort and we all were pretty happy when everything was all set up and working at the end of the day! Yep, I love what I do and I hope my hubby’s not too disappointed that he doesn’t have anything to open on Father’s Day other than a dresser drawer that works! Challenge YOUrself Challenge #19: Anything Goes – I’m in the middle photo with my daughter – the best selfie I’ve ever taken, Woohoo! Hi! It’s so nice to see you today! I’m busy getting projects done for the end of the school year. I’ve posted some other projects and the idea behind them the past few days and for days to come. I used Sunburst Shapes Cutting Files for the background, because it’s awesome! I filled the shape with Halloween Flourish digital paper because I thought it’d be awesome in the sunburst. I used print and cut for the front layer of the Laughing Light Bulb Cutting Files (a nice option for this cover – I didn’t want lots of small pieces that might get pulled off with wear and tear.) 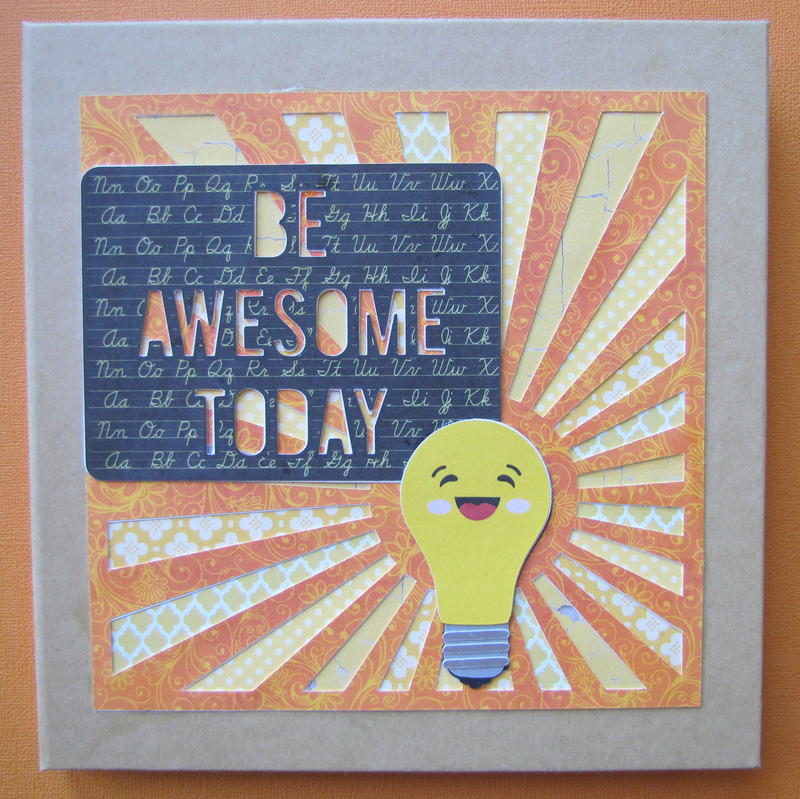 Now the sentiment is a freebie from Paper Issues from their most recent Die Cutting Saturday. They had a bunch of sentiments that I thought would go great with the light bulb, but Alex really liked this one, so that’s the one that I used. I filled the background of that cut with School Days Chalkboards digital paper, because I thought it would look awesome and it’s for a teacher who was definitely teaching back when chalkboards were still being used! I like to use a thicker line in a darker color around the cuts to give it a more finished edge. 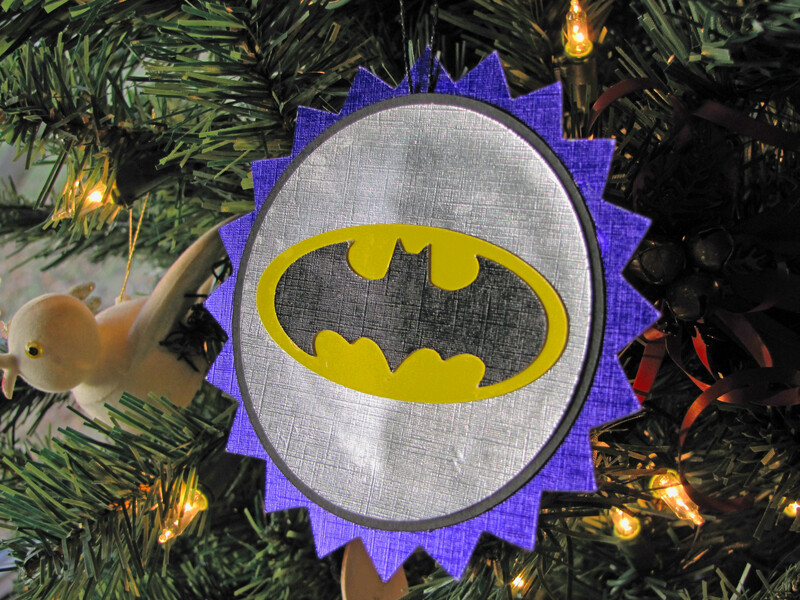 For this one I used a width of 3.0 and matched the color to the black in the pattern. Did you notice the papers in the background in between the bursts? Anyway, now that I’m back on track with my blog post, I hope I provided some small inspiration for you today. I encourage you to check out Paige’s projects if you’re interested in the look she creates. 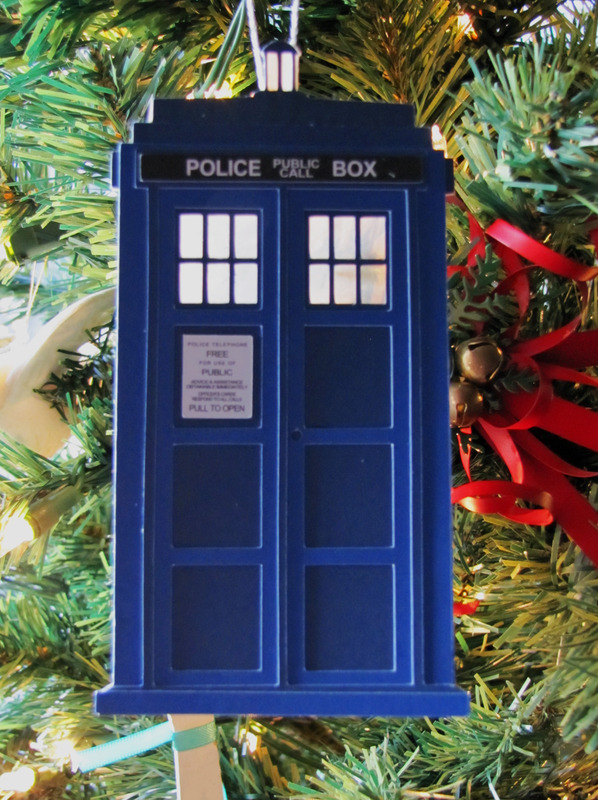 I have a feeling I’m going to be doing this again – maybe a lot! 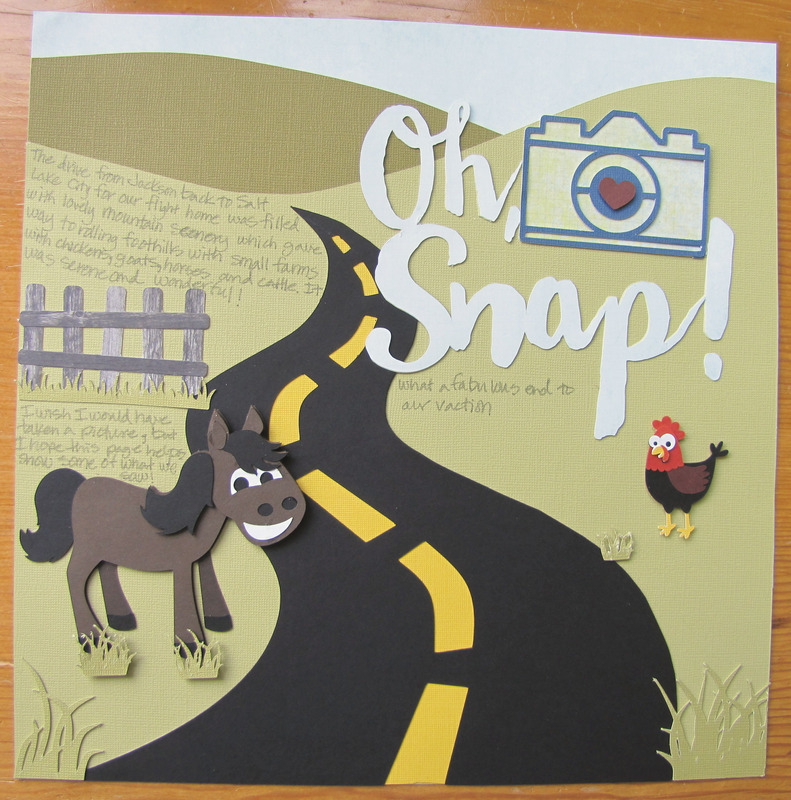 And I’d love to see a project that you’ve done using Lisa’s files for our “Oh, Snap!” challenge! 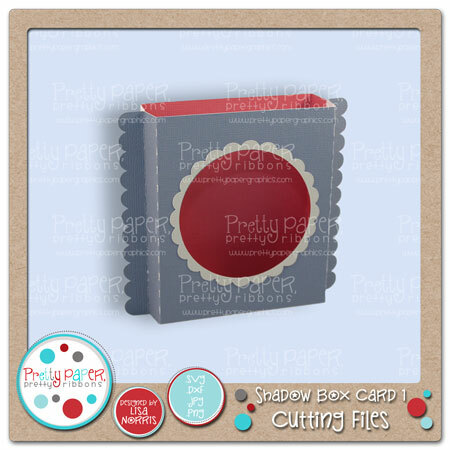 You know you need some good crafting time and what better way to spend it than playing with Pretty Paper, Pretty Ribbons files, right?!! 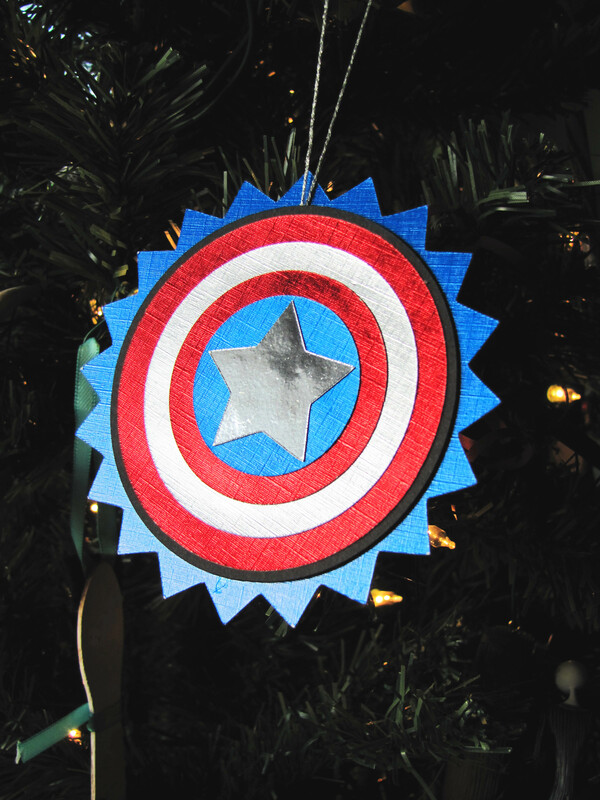 Click on the link for all the information and get crafting! Thanks so much for sticking with me through all these details! I hope you’re having a wonderful day! Cardstock from Recollections and Paper Studio; Patterned Papers from Bo Bunny, Fancy Pants Designs and my stash; adhesive from ScrapPerfect and Zig. 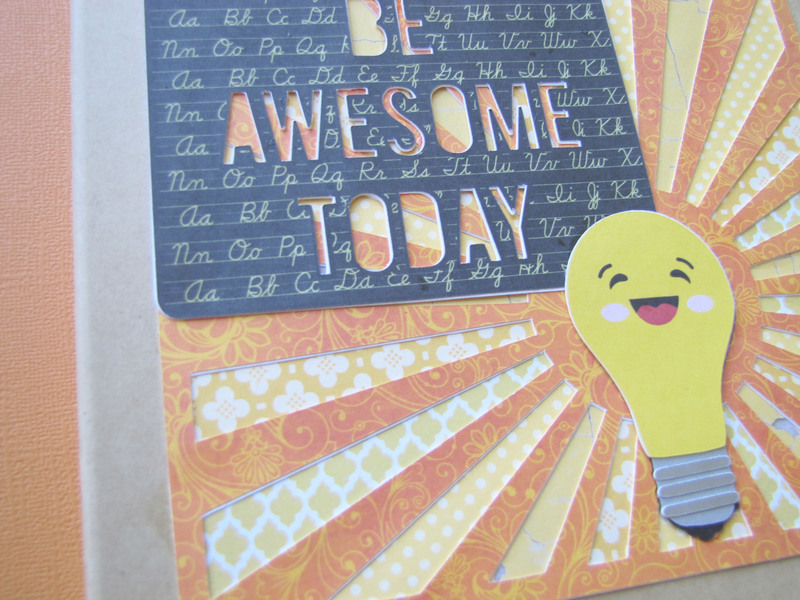 Pretty Paper, Pretty Ribbons, Pretty Fun card! 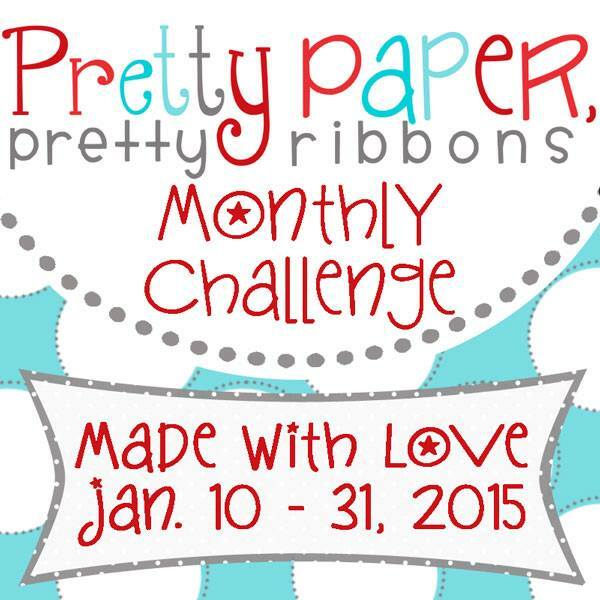 Today the Design Team is sharing some wonderful made with love projects using Pretty Paper, Pretty Ribbons files. I love that Lisa has so many punny designs in the store – it fits right into my idea of fun! 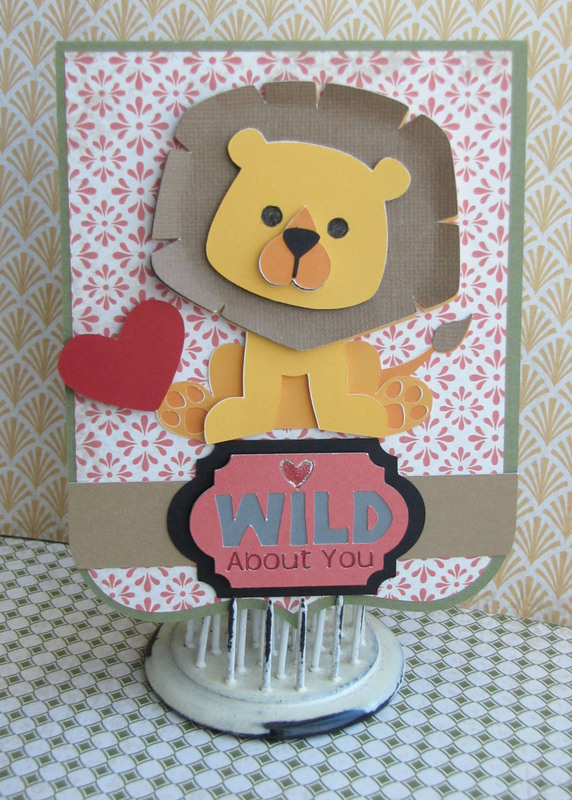 Here’s the card I decided to make for my hubby for Valentine’s Day (he doesn’t usually visit my blog, that I know of, so hopefully I’m not ruining the surprise) I used the Safari Love Cutting Files (which has all kinds of cute wild animals and the wonderful sentiment) along with the A2 Card Bases 1 Cutting Files which I think is an elegant design for a Valentine’s card. What a cutie pie, huh? 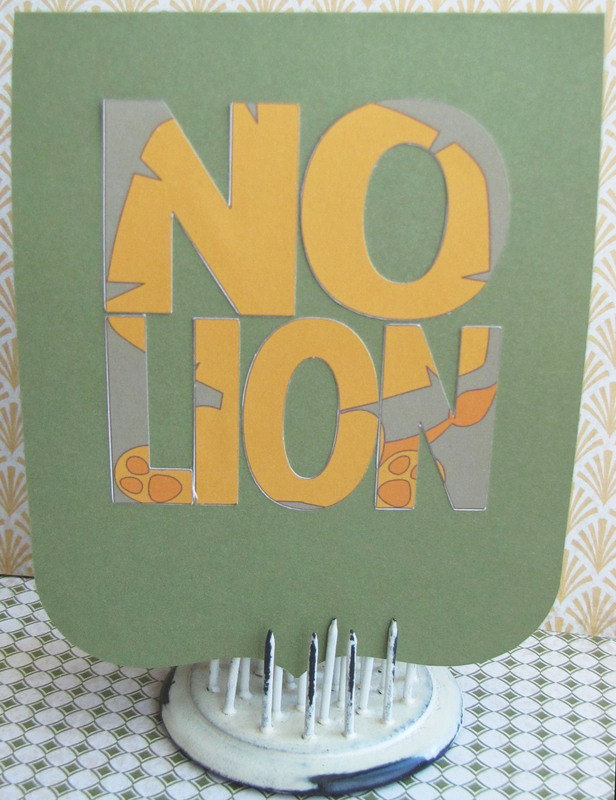 I love the little lion and the sentiment is perfect for me! I love all the layers that Lisa incorporates into her designs. It makes it so easy to create dimension and it’s also so easy to assemble – all the layers just go one on top of the other! 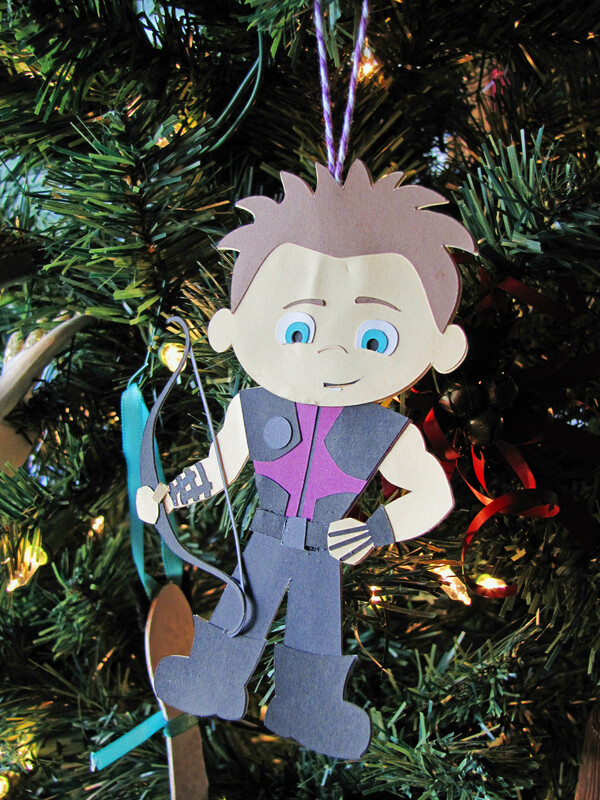 Here you can see where I chose to add dimensional adhesive. I also folded the edges of the mane up to add some texture. The lion’s body was done with print and cut for the yellow parts and just cut for the black and brown parts. I also used my new Wink of Stella black glitter marker on the lion’s eyes and the Wink of Stella clear brush marker on the heart in the sentiment – I need some practice with that because it really came out thick and had to be dabbed off a bit. I hope you’ve enjoyed my project! There’s lots more goodness to come! The blog candy for this hop is a $15 GC to the PPPR store. For a chance to win, you must be a follower of each blog and leave a comment on each blog. For extra chances, you can also “LIKE” Pretty Paper, Pretty Ribbons on Facebook and/or sign up for the Pretty Paper, Pretty Ribbons Newsletter. 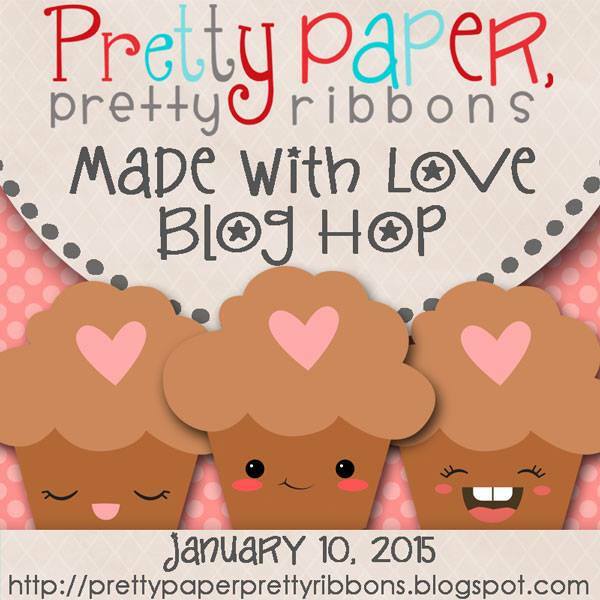 A random winner will be chosen for the prize on Saturday, January 13, 2015 and announced on the Pretty Paper, Pretty Ribbons blog. Be sure to pick up this super sweet Blog Hop freebie on Saturday and Sunday (the 10th and 11th) only available on Lisa’s blog…after that it will be available for sale in the store. Sarah ~ http://sarahvaitstamps.blogspot.com/<<<<<——— Head here for Sarah’s awesome project! My new friend is the Wink of Stella Black glitter pen, the old friend in the Close to My Heart Elemental collection paper that I used for the background.